LiquidPlanner is a streamlined project management tool that helps users seize control of projects and work with confidence. It can coordinate schedules and organize tasks based on your vacations, priorities and availability. 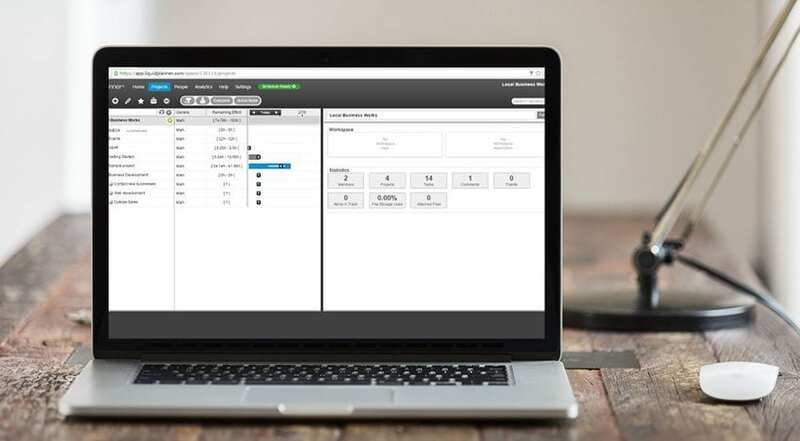 Hubstaff‘s LiquidPlanner time tracking integration allows users to track time to LiquidPlanner tasks, access rich reports, view activity levels, schedule automatic payments and more. Your team can efficiently track time on Mac, Windows and Linux. Track time to individual LiquidPlanner tasks. Monitor your remote team as they work. Gain insight on employee productivity. Get access to automatic time reports and team payments. 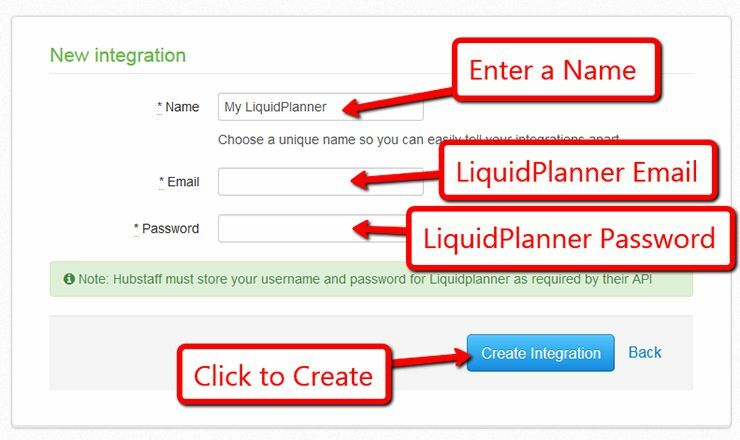 View a step-by-step guide at LiquidPlanner Time Tracking App Integration Setup. 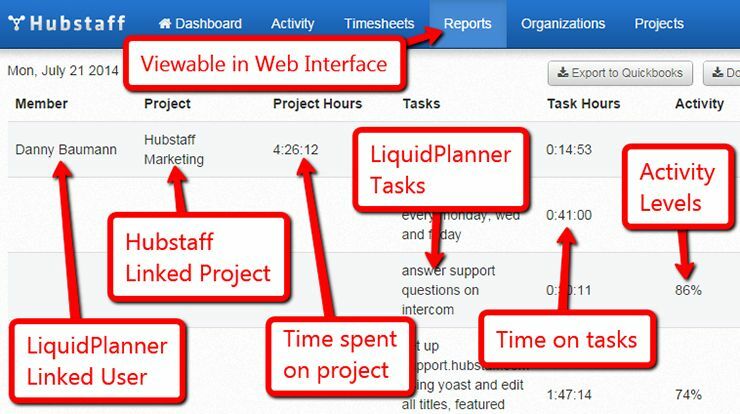 Recording time to LiquidPlanner tasks is simple with Hubstaff’s easy-to-use desktop apps. This software was designed to be lightweight and function perfectly in Mac, Windows and Linux. Start and stop tracking time with the push of a button. 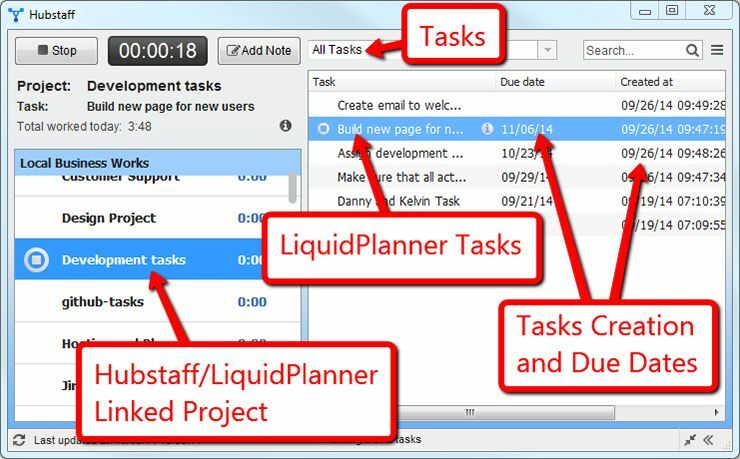 View all their assigned LiquidPlanner tasks in one area. See when tasks were created and when they are due to help prioritize. Add work notes to time entries that can be used for memos, messages or reminders. Work offline. Recorded time and randomized screenshots will be uploaded once users reconnect to the Internet. You can integrate Hubstaff and LiquidPlanner in a few easy clicks. 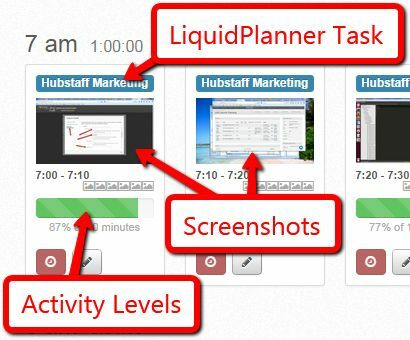 After you integrate, your LiquidPlanner tasks will automatically sync with Hubstaff, so your team won’t have to worry about manually adding tasks just to track time. Begin tracking time to limitless LiquidPlanner tasks. Visit LiquidPlanner Time Tracking App Integration Setup for more information. Hubstaff’s innovative software can help you track your employee’s productivity levels and monitor their work. Randomized screenshots allow you to see exactly what an employee or contractor is working on without having to send multiple emails. This eliminates email clutter and long message threads. Automatically generated activity levels track key strokes and mouse movement to determine how active an employee is while tracking time. Randomized screenshots provide the best picture of what your team is working on while tracking time to a LiquidPlanner task. Screenshot frequency can be adjusted to take 1, 2 or 3 images every 10 minutes. You can also turn this feature off or opt to blur screenshots. Screenshots can be sent to clients along with invoices to show exactly what services they are paying for. Hubstaff’s time reports are concise and can be filtered to find the exact information you or your clients want. These reports are automatically generated, provide insight into how your team works and provides a space where you can see all recorded time in one area. Reports are automatically generated based on time tracked with Hubstaff. Filter reports by user, projects or specific date ranges. Reports will also show manual time entries. Use reports to invoice clients easily. Download reports to simplify keeping business records. Manage your team’s workflow from start to finish with Hubstaff’s automated payments. You can automate employee payroll or contractor payments in Hubstaff to spend less time on administrative tasks and more time on growing your business. Pay for the exact amount of time worked based on time tracked with Hubstaff. Schedule payments automatically or manually. Set pay rates for different employees. Adjust payroll to suit your schedule. Pay day can be scheduled weekly, bi-weekly or monthly. Integrate your PayPal account in a few clicks. Pay employees in different currencies. Learn how to set up Automatic Payments and Payroll.